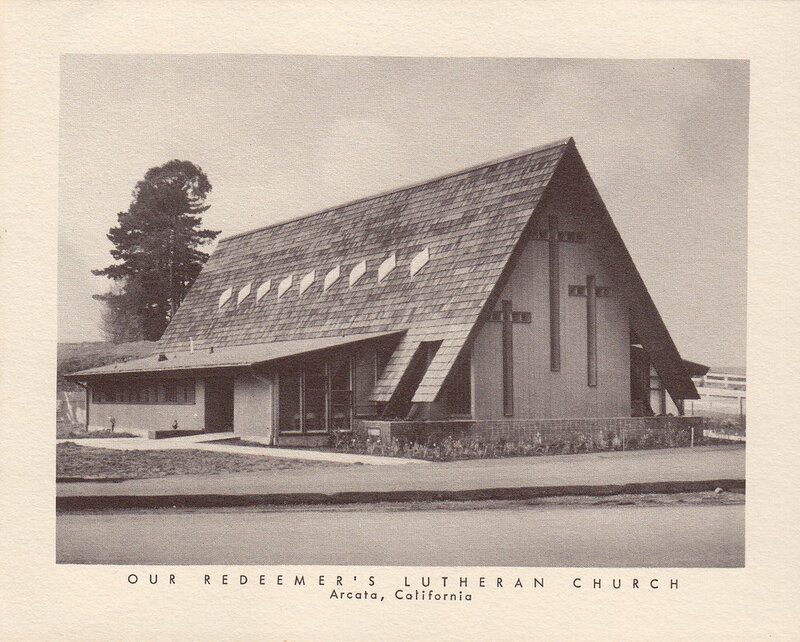 Lutheranism came to Arcata, California, in the last months of 1952, when two separate groups of Lutherans, members of Calvary Lutheran of Eureka, an American Lutheran congregation, and of Trinity Lutheran of Eureka, a Lutheran Church-Missouri Synod congregation, asked their respective pastors to begin worship services in the Arcata area. The A.L.C. group chose the name Faith Lutheran, and began regular worship in the Masonic Hall, which was then located at the corner of 9th and G Streets in downtown Arcata. The L.C.M.S. group chose the name Our Redeemer's Lutheran, and met in the Danish Hall, across the street from Arcata High School. Faith Lutheran was served by Pastors Harry Carlson and Phillip Nesset; Our Redeemer's by Donald Claasen, who was installed as a mission pastor in November 1953. Dear Brother: It becomes my pleasure to inform you that the Board of Directors of the California and Nevada District of the Lutheran Church-Missouri Synod, meeting July 28th, 1953, extended to you a call to become our first pastor at Arcata, CA. 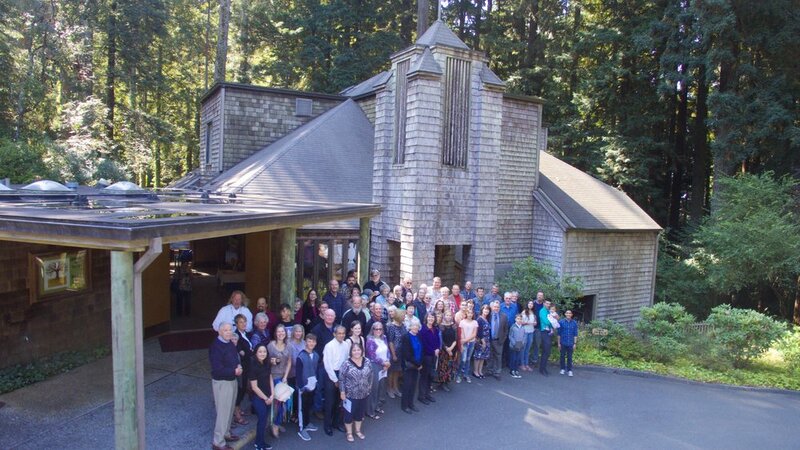 A little about the congregation itself: Last October, a group of 50 communicants living in and around Arcata but holding membership with Trinity of Eureka requested the Eureka pastor to conduct separate services for them in Arcata. So far this year the members have raised $1,190.00 and have pledged to support the work there in the amount of at least $60.00 a Sunday when they have their own pastor. A little about the town: Arcata has an incorporated population of 3,720 people. The town is called "the lumber center of the West". It boasts of a large industrial payroll, vast business opportunities, a moderate climate, a good state college with an enrollment of 750 students, fine fishing and hunting, as well as a good dairy industry. Lumbering has become a tremendous business in Arcata, so much so that the population is growing hand over fist. Our church, under God, has a real future there. At present, the Arcata group worships in a rented hall, but I understand they are in the market for property on which to build a plant as soon as possible. A suitable house for you and your family will be rented. By the mid-1950s, Faith Lutheran had secured property in the Westwood Village area of town bordering the Arcata Bottoms, where they built their first place of worship. Meanwhile, Our Redeemer's purchased property at 14th and D Streets, and broke ground for their sanctuary in January 1955. Our Redeemer's church building was designed by San Francisco architect, Mario Corbett, and dedicated in March 1956. Ten years later, a Corbet-designed fellowship hall-gymnasium was added (a facility which was later purchased by the City to become the first Arcata Community Center and today is known as "The D Street Neighborhood Center"). Throughout the fifties and sixties, Arcata's two seminal Lutheran churches grew alongside the communities they served: Arcata, McKinleyville, Blue Lake, Fieldbrook, and Trinidad. By 1966, big changes were on the horizon for Arcata's Lutherans. In 1966, the American Lutheran Church and the Lutheran Church-Missouri Synod declared Altar and Pulpit Fellowship, encouraging the members and congregations of the two synods to worship and work together. In that same year, the California Department of Transportation determined to widen and deepen the freeway through Arcata and to build an off-ramp at 14th and D Streets, thus claiming the buildings and grounds of Our Redeemer's Church through eminent domain. Meanwhile, across town, Faith Lutheran was facing challenges of its own, contemplating a major remodel of its chapel and the construction of a Sunday school building. Thanks to the capable leadership of Pastors Phillip Nesset and Don Claasen, the officers and members of both congregations began serious discussions regarding joining hands and building one facility to serve both congregations. The congregations were encouraged by their District leaders to move forward in this united effort, and they boldly joined together to build for the future. By the grace of God, a two-acre parcel of forested land adjoining the southeast corner of Humboldt State University was available, a location which would afford the congregation a wonderful vantage point from which to reach and minister to the students of the growing university. 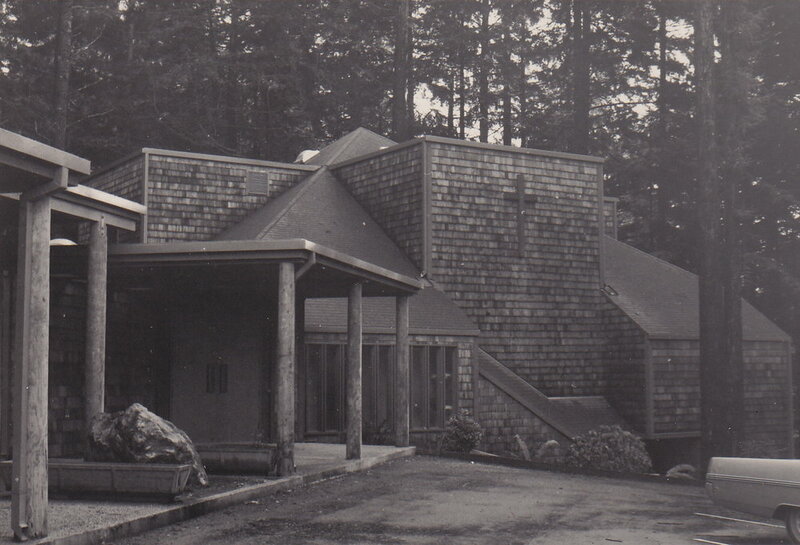 Even before the new congregation was officially organized on April 4th, 1972, plans had been completed by well-known Trinidad architect, Marvin Trump, and construction on a beautiful new church complex in the forest was underway. In July of 1972, the new facilities at 151 East 16th Street were dedicated. Now, decades later, lest the faith and vision it all required fade from memory, it must be recorded that The Lutheran Church of Arcata is testimony to a unique expression of Christian unity, for the congregation brought together members of two different Synods — not to mention different ethnic and cultural backgrounds. To quote from an early anniversary booklet: "How these stubborn Germans and Scandanavians (and others who have joined us) have each given up dearly held traditions and practices is true evidence of God's grace." Testimony, too, is the beautiful sanctuary, standing sheltered among the majestic redwoods, evidence of the great possibilities inherent in Jesus' prayer, "that they all be one." The Lutheran Church of Arcata, committed to proclaiming the Good News of Jesus Christ, grateful for its past blessings, looks forward to continuing its ministry to the community, to the campus, and, indeed, to all the world through its fellowship with the Church at large. Our doors are wide open to all Lutherans and, indeed, to all people who seek to know and share the saving love of God, which is offered so freely in the redemption which is ours through the death and resurrection of Jesus Christ. Join us!